Jointly designed by Seymour and humbucker inventor, the late Seth Lover, the SH-55 Seth Lover Model Bridge Pickup is an ultra-authentic, Alnico 2, P.A.F.-type humbucker, which works great for country, jazz, blues and classic rock styles. This pickup comes with a nickel cover and includes a four-conductor cable. Get Ultra-authenticity with the SH-55 Seth Lover Model Bridge pickup; an Alnico 2, P.A.F.-type humbucker. If you like to play country, jazz, blues and classic rock then the SH-55 works a charm. Players include Joe Perry (Aerosmith), Gary Rossington & Rickey Medlocke (Lynyrd Skynyrd), George Pajon Jr. (Black-Eyed Peas) and Steve Stevens. 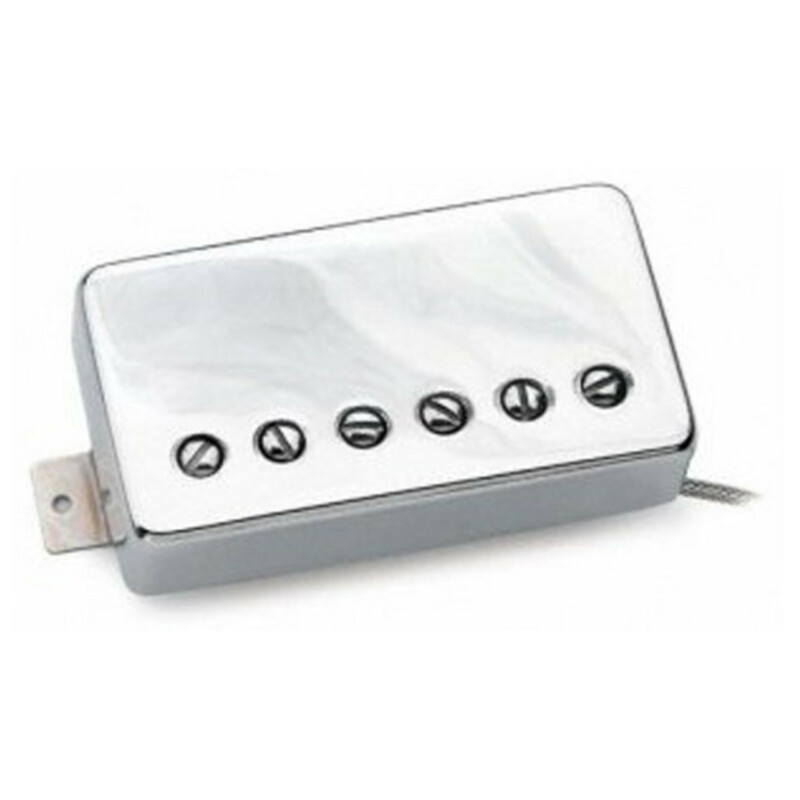 This pickup features a nickel cover and includes a four-conductor cable. The SH-55 was designed jointly by Seymour and humbucker inventor, the late Seth Lover. Just like the original 1955 P.A.F.s, the SH-55 uses a nickel silver cover and long-legged nickel silver bottom plate, butyrate plastic bobbins, Alnico 2 bar, plain enamel wire, wooden spacer, and black paper tape. The pickup is also not wax potted, to remain true to the original design and tone. The SH-55's unpotted cover provides a slightly "honky" microphonic quality to the tone. P.A.F. . This pickup suits brighter toned instruments, especially with ones with maple and ebony fingerboards. It isn't recommended for use with ultra high gain tube amplifiers over 50 watts.